Lisbon, Portugal is one of Europe’s most charming cities. Yet, it’s often overlooked compared to tourism titans like Barcelona, Paris, and Rome. Ask anyone who’s been, though, and they’ll tell you that Lisbon’s under-the-radar position only adds to the city’s appeal. Lisbon offers the energizing pace and exquisite culture of large cities in a smaller, more approachable package. It’s the perfect port for embarkation or debarkation, or an overnight stay. You’ll have no trouble filling your days in Lisbon, especially with these five tips on things to do. 1. Relax by the riverfront in Baixa. Lisbon is situated on the Rio Tejo (also called the River Tagus), and strolling along the city’s riverfront is a quintessential leisure activity while here. Lisbon’s central district, Baixa, lies right on the river and is home to many great restaurants, boutiques, and cafes. This part of the city was devastated during the 1755 earthquake and was subsequently rebuilt. In fact, it is one of the first examples of earthquake-resistant architecture. A stroll along the Ribeira das Naus promenade with a coffee to go is the perfect way to start a morning in Lisbon. Start off at the Quiosque Ribeira das Naus (this is where you can get a coffee) and walk about 5-10 minutes to Praça do Comércio, a bustling 18th century public square known for its bright yellow facades and grand arches. This is where everyone arriving in Lisbon by boat used to disembark, making it a fitting first stop for cruise passengers. A highlight of Lisbon’s Baixa neighborhood is the Núcleo Arqueológico da Rua dos Correeiros. This ruins site and museum is located only few minutes walk from Praça do Comércio. You can join an archaeologist-led tour of the ruins, which date back to the Iron Age and were exposed during the construction of a parking lot in 1991. During excavations, archaeologists discovered layers of many stages of ruins, including medieval and Islamic, before making the incredible discovery of a Roman sardine factory dating from the 1st century AD. 2. Hop on and off Tram 28. The best way to get a feel for Lisbon is by taking a tram ride through the city. Tram 28 is the most popular route with travelers, as it loops through some of Lisbon’s most charming neighborhoods and provides easy transportation up steep hills. Ride the loop through Baixa, Alfama, and Graça, before hopping off to do some sightseeing. Unlike Baixa, many buildings in Alfama and Graça, as well as in the adjacent neighborhoods of Castelo, Sao Vincente, and Mourari, managed to survive the quake. These areas form the historic heart of the city. You can easily spend the better part of a day exploring Alfama and Graça, which have a quieter, folksier vibe than the rest of the city. The most famous landmark in this area can be seen from almost anywhere in the city. Castelo de São Jorge is a Moorish castle that has towered over the city since the 11th century, though fortifications on the hilltop date back much further. There are tours of the Moorish castle thrice daily, at 10:30 a.m., 1:00 p.m., and 4:00 p.m. You can also tour the archaeological site, visit a permanent exhibition displaying castle artifacts, and enjoy panoramic views of the city below. In Alfama, don’t miss visiting the oldest church in Lisbon. Sé de Lisboa was built in 1147 and has survived several earthquakes. It’s been modified and restored many times, and thus the architecture is an intriguing mix of several styles. The gothic cloister inside the church is a must-see for history buffs, as it opens onto archaeological excavations. If you’re a history buff, you’ll want to stop in at Panteão Nacional, a museum that celebrates famous Portuguese figures. Perched on a hill above Campo de Santa Clara in Graça, the museum’s baroque architecture, lavish marble interior, and great views of the river add to the overall experience. If you prefer art and architecture to history, opt instead for the National Azulejo Museum in Alfama. The museum is dedicated to the beautiful ceramic tiles that decorate many of Portugal’s buildings. 3. Skip off to Sintra. If you’ve been to Lisbon before and want to experience a new destination, visiting Sintra makes a great day trip. The idyllic village is located only 28km away from Lisbon and is easily accessible by car, train, or shore excursion. Sintra is a popular day trip destination thanks to a few memorable landmarks. The most iconic is Pena Palace, a spectacular Romanticist castle perched high in the Sintra mountains. It’s simply stunning, and a must-visit. (In fact, it made our official list of nineteen must-visit majestic palaces.) The palace dates back to the Middle Ages and has served as a chapel, a monastery, and a summer royal residence. Today, it is a UNESCO World Heritage Site and one of the Seven Wonders of Portugal. In addition to touring the palace, you’ll want to devote time to exploring the surround forests and garden. Your next stop in Sintra should be Quinta da Regaleira, the lavish result of a Brazilian coffee tycoon commissioning an Italian opera set designer to create his villa. The grand 20th century estate is most notable for its exterior. A vast park complete with a labyrinth of tunnels and grottoes surrounds the intricate, palatial home. Two ceremonial “Initiation Wells” on the property more closely resemble underground towers, which visitors can descend via spiral staircases. If you haven’t yet had your fill of palaces and castles, you can visit the mountaintop Moorish Castelo dos Mouros, and the Gothic-meets-Manueline Palace of Sintra in the town’s historic center. Pena Palace isn’t Sintra’s only architectural masterpiece. The village is home to a grand 20th century estate called Quinta da Regaleira, the Moorish mountaintop Castelo dos Mouros, and the Gothic-meets-Manueline Palace of Sintra in the town’s historic center. 4. Take the funicular to Bairro Alto. Lisbon’s Bairro Alto, or “Upper City” neighborhood is perched on one of the city’s famous “Seven Hills of Lisbon”. This part of the city is home to eclectic antique shops, great restaurants and bars, and beautiful, historic buildings. Avoid walking uphill to the neighborhood by taking the historic Gloria Funicular. It was opened in 1885 and is considered a national monument. Just hop on at Restauradores Square in Lisbon’s downtown and enjoy the ride all the way up to the Miradouro de São Pedro de Alcântara. This look-off point is the perfect place to snap photos and enjoy views of the city, including the iconic São Jorge Castle. Take some time here to enjoy the beautiful gardens, complete with fountains and Greek busts. You can even order a glass of wine or beer from one of the hilltop’s open-air stalls. While you’re exploring Biarro Alto, pay a visit to the Igreja & Museu São Roque, a stunning 16th-century cathedral and adjoining museum. Don’t let the plain façade fool you – the marble and gold interior of this church will take your breath away. Biarro Alto is known for its great nightlife scene. Settle in at a rooftop restaurant, take in some live music at a jazz club, or dance the night away at a club. 5. Breeze over to Belém. Belém is a district in Lisbon located at the mouth of the Rio Tejo, just west of the iconic 25 de Abril Bridge. The area is home to two of Lisbon’s most iconic sights: the Torre de Belém and the Mosteiro dos Jerónimos. The Tower of Belém is a perfect example of Manueline architecture, with its elaborate vaulting, fanciful armillary spheres, and nautical-inspired detailing. It’s a UNESCO World Heritage Site and dates back to the 1500s. It served as the first line of defense at the mouth of the river and a ceremonial gateway to Lisbon. Inside the fortress you can explore dungeons and, if you’re up for it, climb the tower’s narrow spiral staircase. You’ll be rewarded with breathtaking views at the top. Belém’s other UNESCO-listed showstopper is Mosteiro dos Jerónimos, a monastery that serves as another pristine example of Manueline architecture. The site has a deep connection with Portuguese seafaring during the Age of Discovery. In 1497 Vasco de Gama and his crew spent the night at a church on the site before embarking on their Orient expedition. Construction of the current monastery and church began in 1501 and took 100 years to complete. Vasco de Gama is interred there today, along with the famous 16th-century Portuguese poet Luís Vaz de Camões. To say the monastery’s architecture is beautiful would be underselling it. It’s astounding. The cloisters are so intricate and detailed, you’ll want to pause to truly soak in your surroundings. To appreciate the incredible arches and gargoyles and turrets which have survived centuries. Take you time gazing upon the church’s ornate south portal and staring up at the stunning vaulted interior ceiling. If time allows, there are also several museums worth visiting in Belém. Check out Museu Colecção Berardo for contemporary art, visit Museu da Presidência da República to see a fascinating collection of state gifts received by Portuguese presidents, or browse the incredible collection of fairytale-esque coaches at the Museu Nacional dos Coches (Portugal’s most-visited museum). When all that sightseeing leaves you feeling peckish, stop in at Antiga Confeitaria de Belém – a patisserie that has been serving traditional pastéis de belém custard treats since 1837. Of course, these suggestions for things to do in Lisbon have only scratched the surface when it comes to what the city has to offer! You’ll experience even more when you travel there #AzaLocal with Azamara. In 2018, our 102-day long World Journey voyage will spend two full days in Lisbon. With these tips in hand, guests won’t have any trouble filling that time! Many of our voyages embark or disembark in Lisbon, making it easy to extend your vacation by spending a few days in the city. Wondering what itineraries we have coming up? 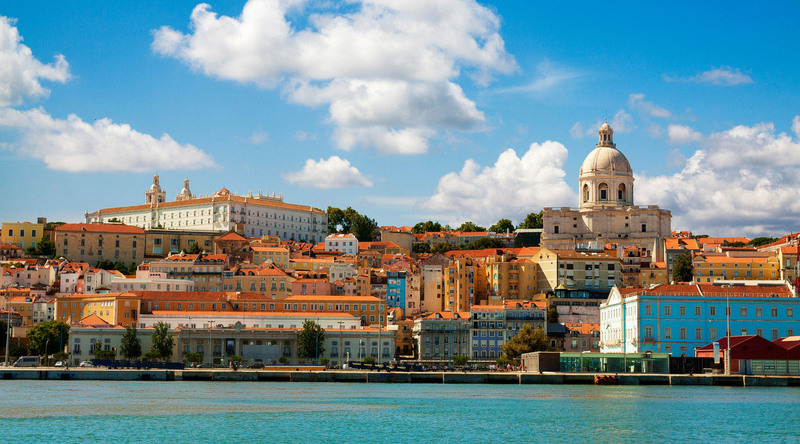 Click here to browse all our upcoming cruises to Lisbon, Portugal.